1449619010 -This concise text is a reader friendly primer to the fundamentals of administrative responsibility and ethics. Your students will come away with a clear understanding of why ethics are important to administrators in governmental and non-profit organizations, and how these administrators can relate their own personal values to the norms of the public sector. • Ethics in an era of increasing tension between political leaders and administrators over the role and size of government. • Ethical choices in making fiscal cuts or imposing new taxes in the face of the greatest economic crisis since the Depression. • Ethical challenges to established practices in public organizations. The Second Edition also offers thoroughly updated data and sources throughout, as well as examples that incorporate new research and new developments in government and politics. • Introduces readers to the fundamentals of administrative responsibility and provides comprehensive coverage of the important elements of ethics. • Features an accessible and interactive approach to maximize understanding of the subject. 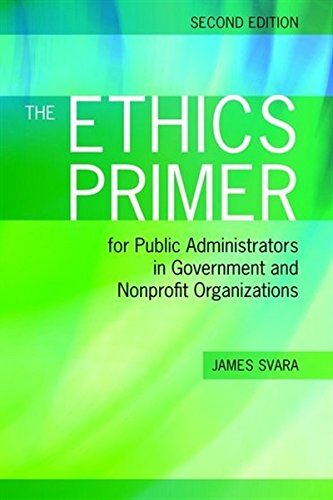 • Includes information on the nature of public service and the ethical expectations of public administrators, as well factors that may lead to unethical behavior. • Written from a political perspective, the book addresses questions that are highly salient to persons working in government and nonprofits. • Offers helpful ways to link ethics and management in order to strengthen the ethical climate in a public organization.